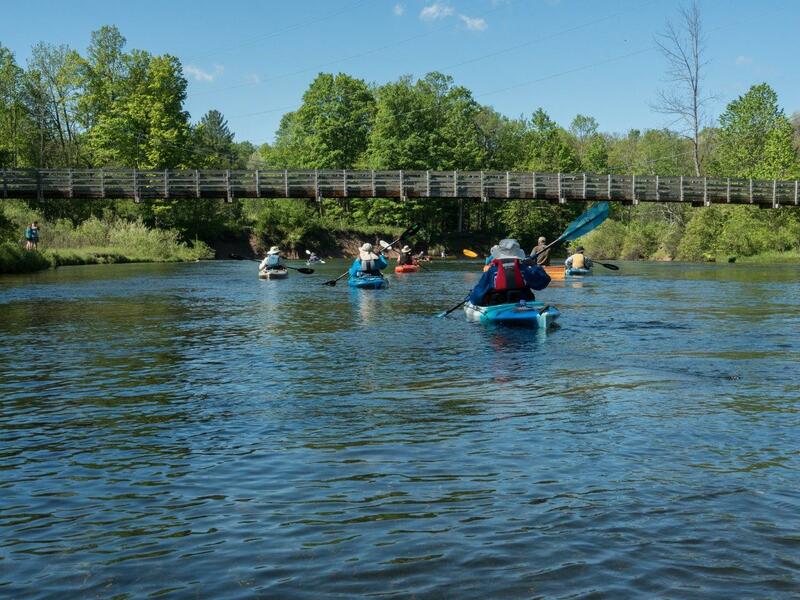 Lois Goldstein and John Heiam host a memorable Memorial Day paddle down the mysterious currents of the Manistee River. The launch went off on schedule from the south end of the Hodenpyl Pond with 13 willing participants. Bob Fitch and I were puzzled by the strangest bird sounds we heard. The calls turned out to be Susan Wilgus blowing her whistle, letting us know that we needed to regroup. Marcy Maller and I scratched our heads to recall the strong scent in the air which was confirmed by newest members Doug and Anne Cole to be the aroma of honeysuckle. We settled for lunch on a patch of land across from a flock of geese who would not relinquish their prime real estate, and we discussed recipes with Tracie Lord. I was fortunate to have the ever prepared paddler Lois to supply me with water as I lost mine earlier. 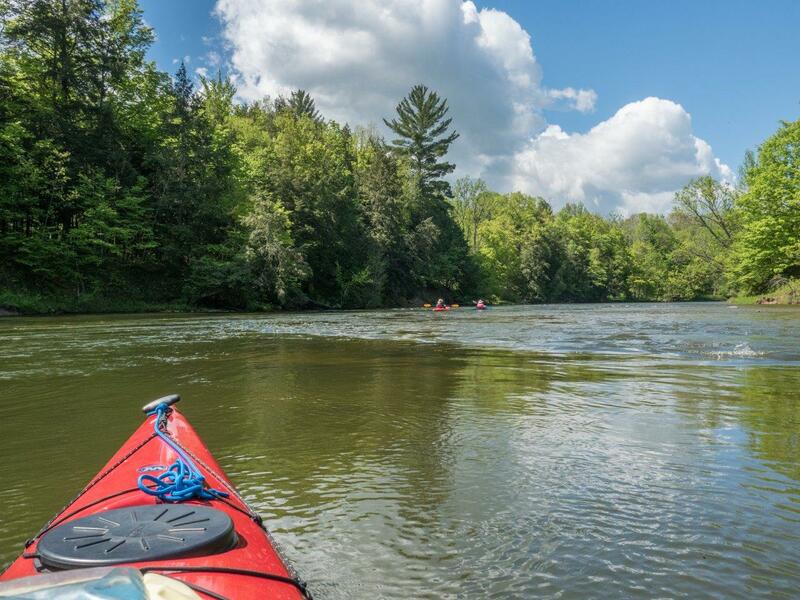 Time to pack up and Gerald Wilgus loaded more than his share of gear into his finely crafted canoe. Sue Wilgus helped to cleaned out a fire pit that had been left with an assortment of cans and bottles, and Gerald graciously hauled the stuff for us. Despite the increasing winds in the second half of the paddle John Gerty was keeping a great pace in his canoe. Sad to see the trip end but happy to see the Red Bridge take-out; we ended the trip on time without incidents. Lindy and Doug Barnes returned me to my car as we talked about our loyal Subarus. We had blue skies for most of the day.